Protect Your Achilles Heel mirrors the immensely successful model created by Roberts in his two previous bestsellers Leadership Secrets of Attila the Hun and Victory Secrets of Attila the Hun. In that series, Roberts applied Attila's cunning leadership secrets to the modern business world. Now, he uses the story of Achilles to illustrate how seemingly small character flaws are leading to the downfall of managers the world over - just like Achilles's miniscule vulnerability, his heel, led to his demise. The mythic Achilles offers a fascinating example of how great promise can fall victim to moral failings. Roberts draws convincing parallels between Achilles and the destructive behavior of contemporary managers who have forgotten the fundamental principles of effective business. This powerful and insightful audiobook serves as the protective armor managers need to transcend the nine character flaws that erode productivity, create a hostile work environment, and - in the extreme - leads to the self-destruction of one's career. 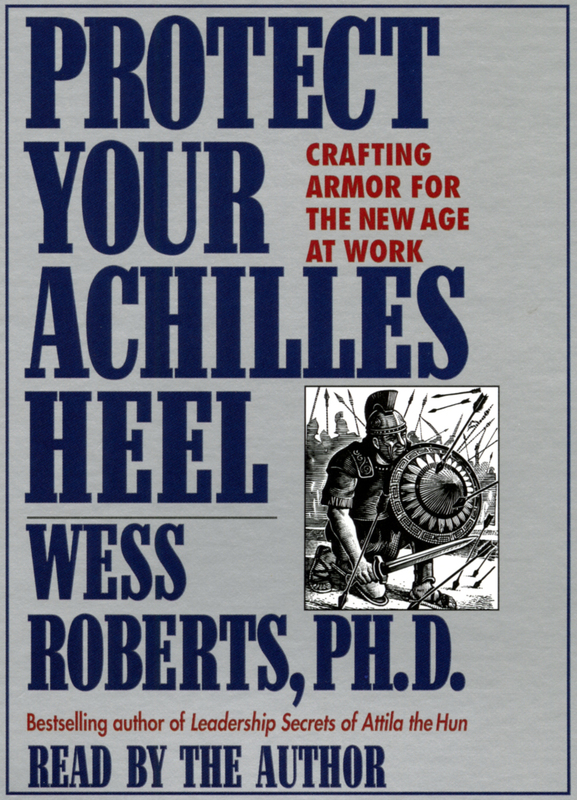 Protect Your Achilles Heel is filled with modern-day parables, observations, and real-life examples that validate these nine flaws as timeless forces that managers in every generation must learn to conquer if they are to protect their own Achilles Heels.